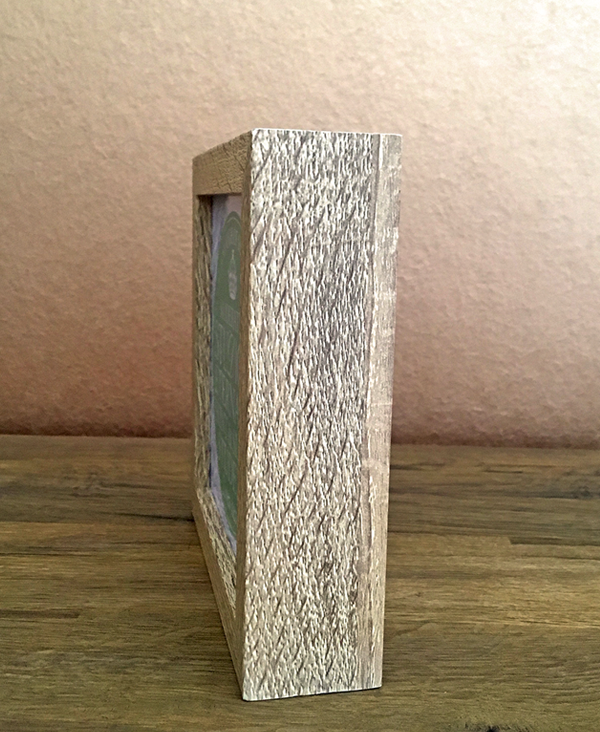 This Light up Frame is a great gift for students. 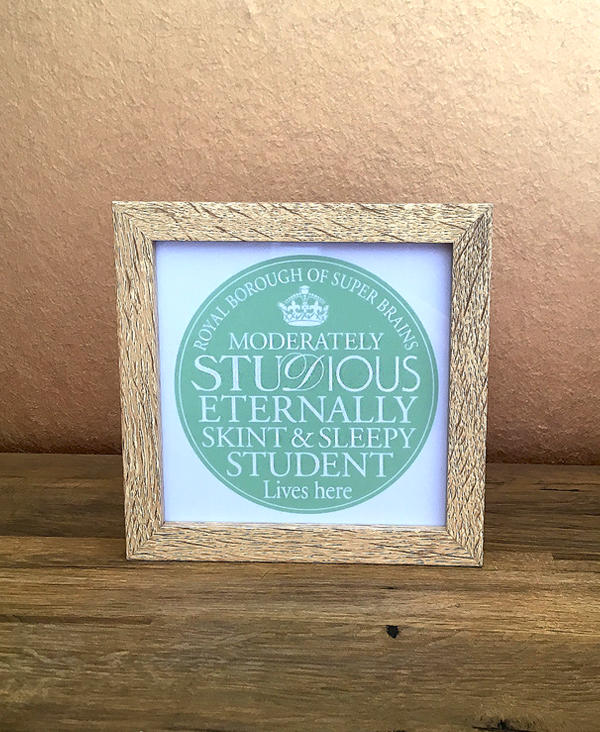 Featuring the widely acknowledged adage ‘Moderately studious, eternally skint and sleepy student lives here’, it’s something that will strike a chord with many. 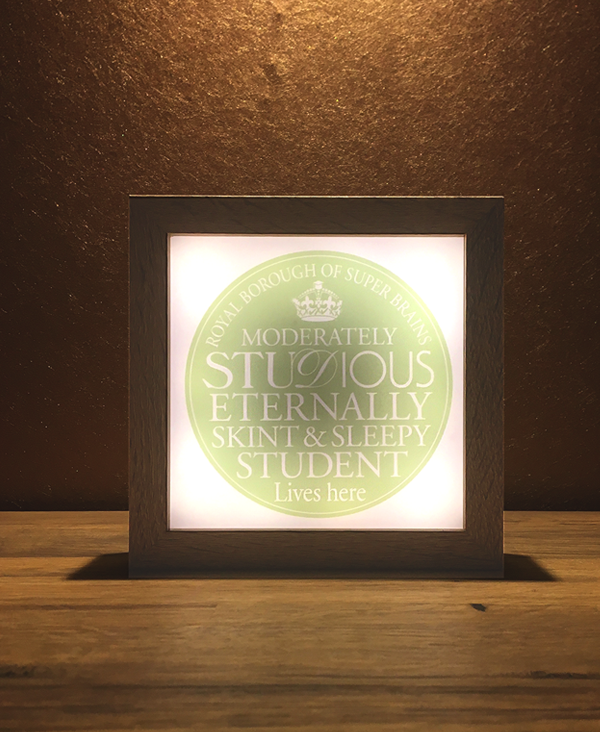 This Student Light up Frame is a great gift for students. Featuring the widely acknowledged adage ‘Moderately studious, eternally skint and sleepy student lives here’, it’s something that will strike a chord with many. The ‘Royal Borough of Super Brains’ endorsement displayed around the apple green coloured circle adds to the impact of this humorous, yet stylish gift. The surrounding oak coloured box frame sits in perfect contrast to the vibrant apple green shade that forms the centrepiece and provides the background to the striking font. Lit or unlit, this is a lovely gift is certain to raise a smile from its recipient. Other items in this range are also available including gifts for a ‘Handsome Prince, an ‘Enchanting Princess and a ‘Couple’. Grain or colour may differ slightly in products from photo shown. 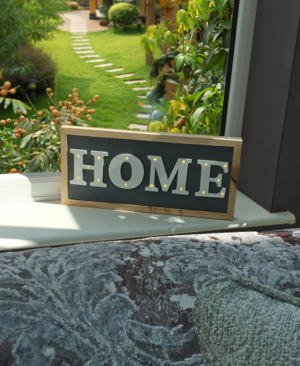 This stylish light up ‘home’ sign creates a lovely subtle glow. 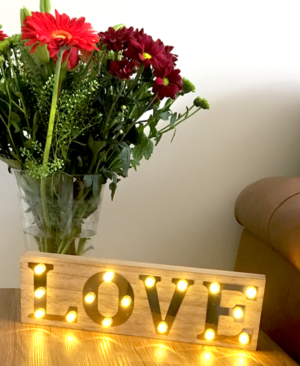 Light up your life (or maybe just your living space) with this stylish wooden sign featuring the word ‘Love’.